The Grotrian-Steinweg Concerto G-113 is the smallest upright with a traditional case in the company's range. This piano is the starting point for the Grotrian-Steinweg sound. The Concerto G-113 is a solid construction and has a clear, dignified and cultivated tone. With this fine, small piano you have at your disposal an instrument that can express substantial music for its size: Subtle tonal details can be created with ease and it is a surprise to find such a powerful bass from a small piano of 113 cm. The ranges are well balanced, the piano delivers a voice with character, a cultured tone and a variety of colours no matter what kind of music you choose to play. The touch is responsive and very reliable even at pianissimo. 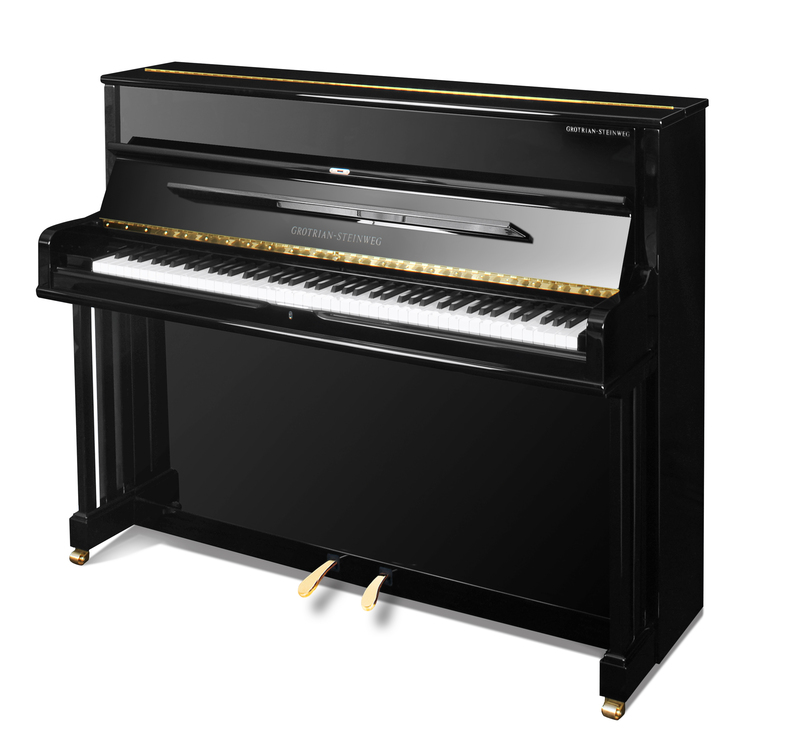 This piano, with its traditionally designed case in black or white polyester, is the entry-level instrument to the Grotrian-Steinweg standard. It comes with Abel hammerheads, 4-brace Renner action and Kluge keyboard. All these materials are selected from trusted German suppliers with decades of experience in the music industry. The piano is 100% made in Braunschweig, Germany, and can optionally be ordered with a silent system. A small, elegant and musical piano of surprising qualities.